-Tan Siew Fah, Malaysia, 27.04.2018 - BOUNDLESS HIMALAYAS TREKKING & EXPEDITION (P.) LTD. Thank you very much for your services during our stay in Nepal. 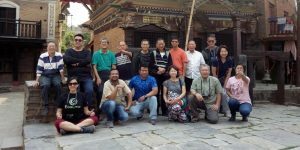 We really enjoyed the trip in beautiful Himalaya Nepal.